A cozy and quiet lounge at the Finland’s largest airport provides thirsty passengers with food and beverages. The welcome on a Saturday morning was warm and professional, even with me wearing yoga pants. Facilities were clean(ish) , and all in all the place was very tidy. The facilities include a shower room, which the engineer was willing to use even without my request. Facing a 20 hour travel to Goa and after missing his morning shower due to a need to sleep, it was very smart of him. And necessary. He described the facilities as “really good” (the wordsmith I’m married to..), and locked the door before I could get a peek. The photo here below was taken by him. 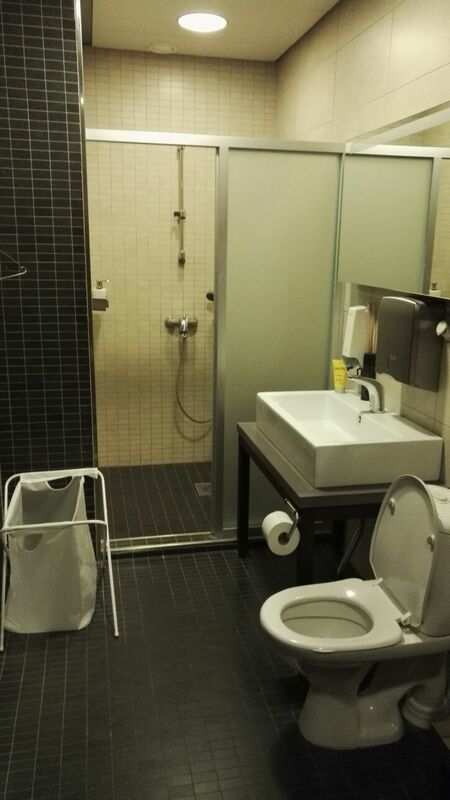 There’s a toilet in the shower room, but more stalls are located right outside the lounge. However, they were a bit untidy. The engineer said he enjoyed using the one in the shower room. I’m happy for him. The lunch was sort of limited, but even as a vegetarian I was able to put together a healthy meal accompanied by some beer. It was already past nine, after all. In the morning. Seating options include couches, tables and lazy chairs. We opted for the latter for the comfort and space. We got in with our Priority Passes. The access can also be purchased for 48€ for three hours (if I remember correctly, I only asked after some beers). Depending on your hunger for snacks, thirst for beverages and need for peace and quiet, it might be worth it. All in all, I’d give the lounge six and half free beers out of ten, 6,5/10. The enginerd gives it 7 /10. 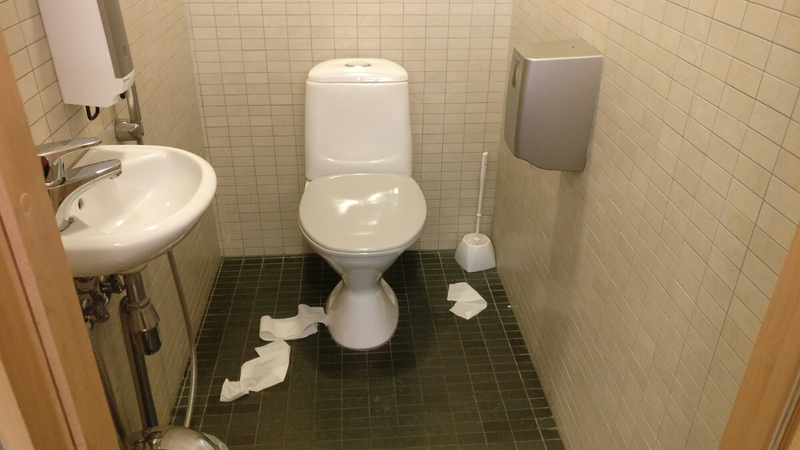 Because of the tidy toilet he got to use.